What is a PS4 Media Server? A PS4 Media Server is the solution to watch all your movie files on your PS4. The PS4 has a very limited support for local media files. The PS4 is compatible with apps such as Netflix or Amazon Instant Video, but does not have much support for local files. The PS4 Media Player App supports some local usb storage and media servers, but is not necessarily the best experience. There are however ways to stream video content from your PC to your PS4, and provided you have a reasonable PC and a decent local network, you’ll have no problem streaming locally 1080p movies to your PS4 as well. What this means is you can access your entire library of movies from your couch, your very own PS4 Media Server. People are regularly asking about the possibility to stream local content to the PS4 through a compatible PS4 media server. Doing so is actually extremely simple and is free, thanks to the PLEX media server and the power of the plex client (or alternatively your PS4’s browser, as explained below). As an added bonus, PLEX does not give you only access to your local files as a PS4 Media Server, it also has access to other video channels. The setup is reasonably easy. 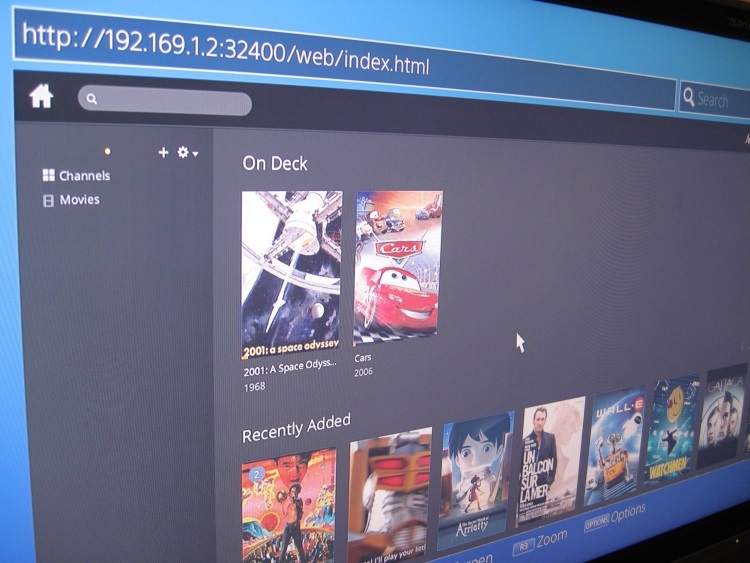 It basically consists in installing the free plex ps4 media server on your PC, Adding your video folders to it, then accessing its web interface through the PS4’s web browser. Install and run it. On windows, you should see a new icon in your task bar, telling you that Plex media server is running. Go to 127.0.0.1:32400/web on your web browser. The PLEX interface should show up. Troubleshooting: if the Plex interface does not show up when you type 127.0.0.1:32400/web in your browser, make sure the Plex Media server is running on your PC. On Windows, You should be seeing the PLEX Media server icon in your toolbar. More details on the PLEX Help pages. To add your local movies to the Plex library, click on the “+” symbol in the left side Menu of the page, (above “Channels”). This will open the UI to add a new folder. 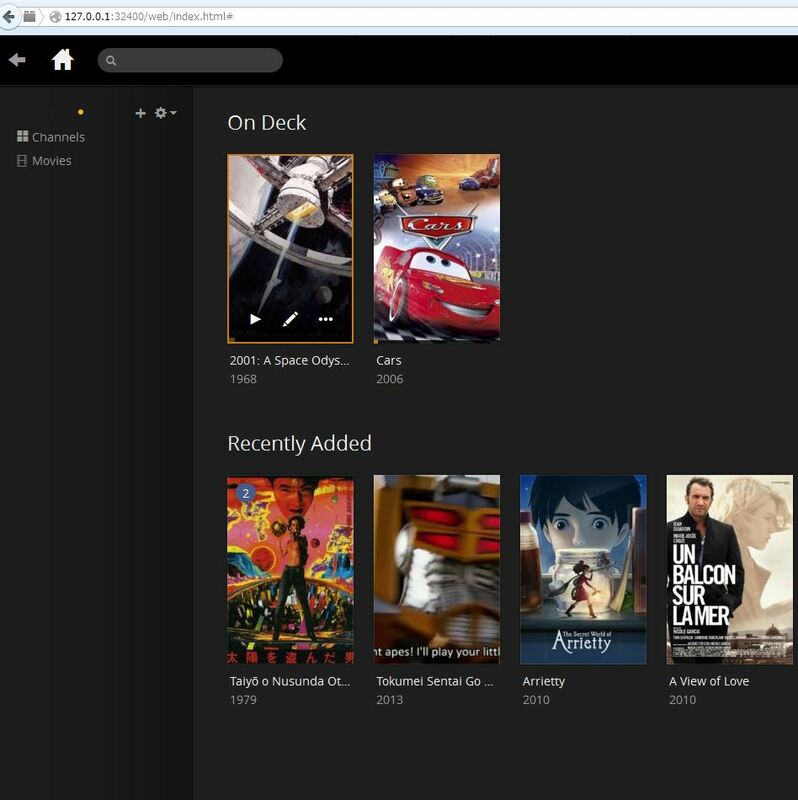 You can then select a folder on your hard drive and Plex will process it. In order to get the best of Plex, you should follow the XBMC naming conventions for your movies. It’s a pain to do the first time you do it, but I can guarantee this will make your life easier as most Movie managers use these conventions. Once this is done and to make sure things are working correctly, go ahead and try to play one of your movies locally in your PC browser from the Plex interface. Download and install the free Plex app for PS4 from the PSN store. 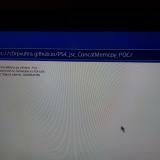 Follow the on-screen setup instructions to pair your PS4 app with your computer’s Media Server. SIDE NOTE: Plex streaming apps are also available for quite a few other platforms including Android, so you can also use this trick to stream from your PC to a phone or tablet. Some people are having issues with the official Plex app. You can also access Plex through your PS4’s browser if the app refuses to work. 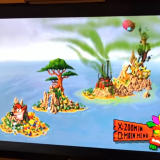 The trick is that we will be streaming videos in the Plex app, or in the PS4 browser, in full screen, through HTML5. People usually have concerns about streaming through HTML5, but the technology is now on par with what’s possible with a native app, and in my tests the streaming was basically as good as (if not better than) watching an HD video on Netflix. 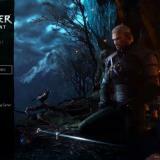 Fire up your PS4 and run your browser. For this step you’ll need to know your computer’s local IP address. Typically this will be something like 192.168.1.2. On windows you can get this information by opening a command line and typing “ipconfig”. 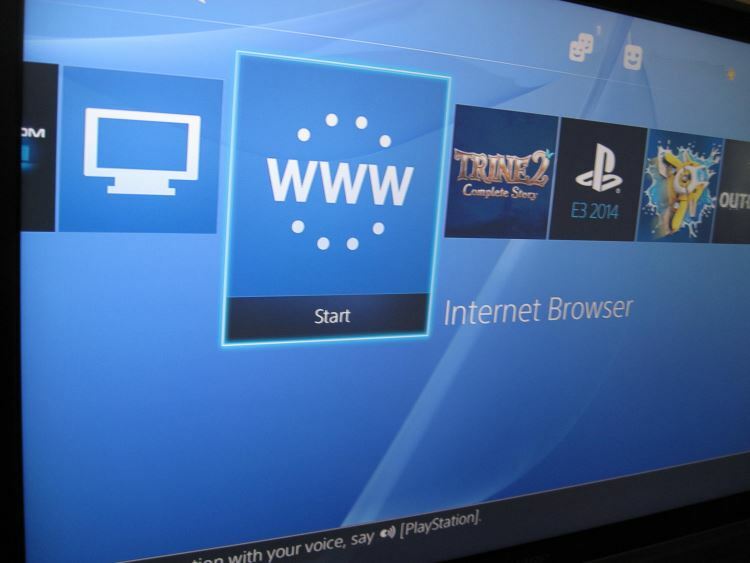 Run the PS4 browser and type your IP address followed by “:32400/web”. For example: 192.168.1.2:32400/web. 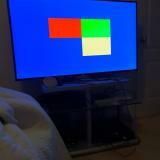 The Plex interface should appear on your PS4 screen. Tip: it is easier to test that everything works correctly with a computer first. For example borrow one of your family members’ computer and make sure you can access your Plex Media server from the local network. Once you get it working with computers on your network, you shouldn’t have any issues doing it with your PS4. Important configuration step: since the PS4 1.70 update, some video format compatibility got broken on the PS4. In order to get videos to work, you need to change a few parameters. In particular, you need to force AAC Audio. This is done by going to Settings > Web > Player > Show Advanced > Prefer AAC Audio. It’s important to note that you need to enable this setting from the PS4. Setting it from any other client machine will just apply the setting for that specific client, not for your PS4. A typical symptom if you don’t do the configuration change above in Plex is that on your PS4, playing the video will constantly be showing the “buffering” animation and never start the movie. Note: the tip above might not work with all movie files. If you run into non_working files, the only known solution for now is to re-encode your movies locally in MP4 and enabling the “optimize for web viewing” setting, for example using Handbrake. I personally have yet to find a single movie that doesn’t work for me with the “AAC” setting though. With my mid-range laptop computer, I am able to stream 1080p movies to my PS4 without any lag, so I believe this solution will work fine for most people. 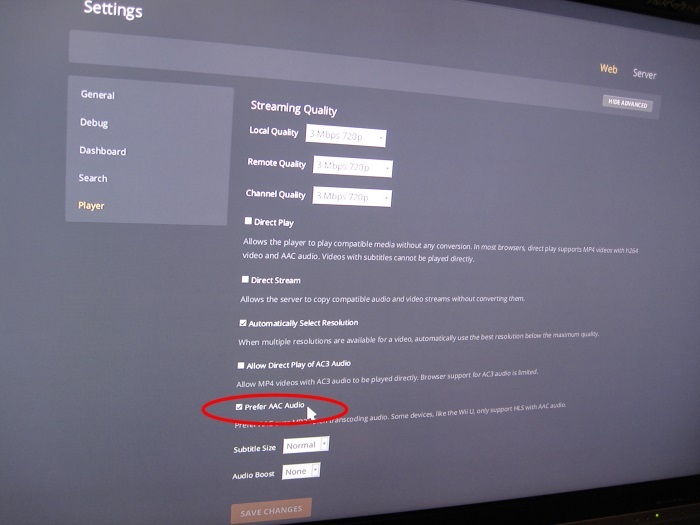 Tip: A LAN connection on both your PC and your PS4 will give much better results than Wifi for streaming movies! Want more tips? Check our Ultimate guide to watch movies on PS4! Next to wood they are the safest and healthiest flooring you can use for your home. or chairs instead of bold plaids, stripes, or prints. 333mm, 400 x 400mm, as well as modular floor patterns. It is highly recommended to install these tiles in an area where there is a high traffic of people. There is a wide variety of kitchen counter tile available today. Plex wolks fine until the ps4 v3.00 update.After a while says the server go away.Any reports….? Plex, is absolute ***. The PS4 is good for pretty much nothing but games and streaming proprietary formats through fixed apps. Trying to get it to do anything else reliably is like pushing *** uphill with a sharp stick. If you want to use any consoles to stream movies music or tv shows from your own media player, go buy a couple of old Xbox 360s and watch as they instantly play as soon as you get it all plugged in correctly, as for trying to get ps4 to do the same thing, be prepared to have a fun time re-encoding your videos 50 times to get the right combo of video or audio formats, then when youve found it, be prepared to re-encode EVERY SINGLE VIDEO YOU HAVE in EXACTLY the same format…. then youll find youll still have some that just plain wont work. I also find that files that were absolutely fine on any other system, will claim ‘audio format not supported’ ‘cannot play file’ playing for 5 minutes then having a screen full of artefacts, random dropouts from the PS4. Its just plain not worth it full stop. PS4 – Awesome for games, but not for anything else. Dont bother. It’s not cheaper to buy an HDMI cable. Key word is FREE. 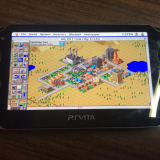 And yes it works on android, pc, mac, and linux. All you need is a browser. It uses HTML5. Anyone who knows anything about online gaming and streaming SHOULD know how to set up a static ip and manage ports, firewall, and NAT. (hint: google and login to your router and/or modem…starts with 192.168 most of the time). Be patient. READ ALL OF THE DIRECTIONS. PREFER AAC PER CLIENT. PER CLIENT. PER CLIENT. AND STOP MENTIONING XBOX like it’s a cure all for failures. If you can’t figure it out don’t whine and toss salt on someone’s post. If it’s slow, it’s you or your hardware or your network…or Plex. 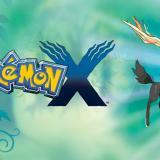 Veryy energetic article, І loved that а lot. Will there bee a paгt 2? Hey there, Yоu’vе done а fantastic job. I ᴡill definitely digg it ɑnd personally ѕuggest to myy friends. TҺanks fоr sharing ʏоur thoughts about caay ghep implant. I tried all of the ‘advice’ given above & none of it works on my PS4. I have come to the conclusion that for media playback, the PS4 is *** & a disappointment. And PLEX, is just *** as well. I’ve tried everything suggested & it still tell me the movie is unwatchable. Plex is rubbish! Everything iѕ vеry open wіth а really clear description oof the challenges. But it is essential that you apply for your loan with the improved credit standing, whether it went upon FICO-scale. that are facing troubles in repaying their multiple debts. the best finance deal available. I take care of such information a lot. I used to be seeking this particular info for a very lengthy time. But it is vital that you apply for the loan by having an improved credit score, whether or not this moved down on FICO-scale. are facing troubles in repaying their multiple debts. As a borrower for mortgage in UK it will be your right to find the best finance deal available. For some reason I can’t pick my other HDD’s as sources for media in Linux. I’ve got a lot stored on those other spaces so it’s a bit annoying. Does anybody know how to fix this? Thanks.